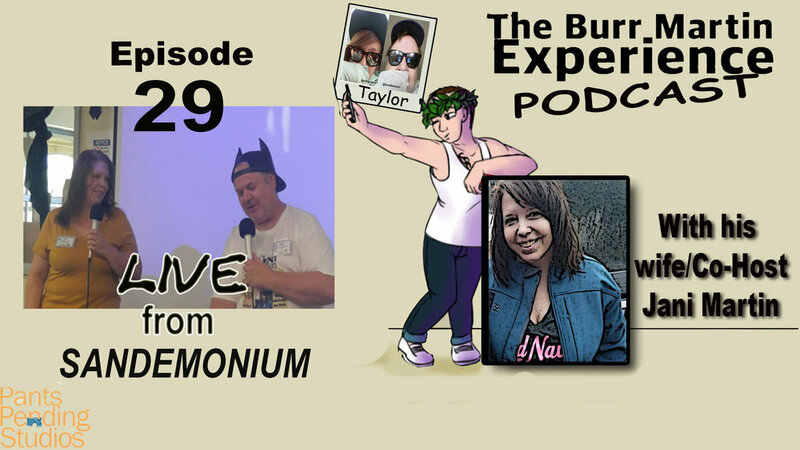 Our first LIVE podcast with the fine folks at Sandemonium. Join Jani and I as we try to understand Sandpoint, Idaho and I describe myself to some people who have no idea who I am. The Burr Martin Experience podcast, brought to you by Pants Pending Studios, is hosted by the Internets "Selfie Dad", who was made famous overnight by recreating his daughters selfies on Instagram. Joined by his co-host/ wife. It's a pg-13 podcast about kids, parenting, comics, comedians, news of the week and more. It's like two parents who finally get to talk when the kids aren't around.